Week six of the NFL season is set to kick off with a Thursday night game featuring the New York Giants and Philadelphia Eagles. Let’s take a look at this weekend’s slate of games and make a prediction for the top five NFL games to bet on. 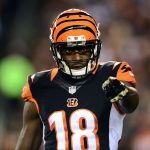 The Cincinnati Bengals will host the Pittsburgh Steelers in a very important AFC North battle on Sunday. The Bengals lead the division with a 4-1 record, and the Steelers find themselves in third place at 2-2-1. Bengals quarterback Andy Dalton has been impressive so far this season, throwing for 1,445 yards and 12 touchdowns. Wide receiver A.J. Green is averaging more than 15 yards per reception, and he should find plenty of open real estate in this game. Ben Roethlisberger has had a terrific start to the season for the Steelers, but Pittsburgh is still missing Le’Veon Bell. The Bengals are the better team right now, and they will win the game. Bet the Bengals -2.5 over the Steelers. The much improved Cleveland Browns will host the Los Angeles Chargers on Sunday. The Browns are 2-2-1 after going winless a season ago, and the Chargers come in with a 3-2 record. The Chargers are averaging over 27 points per game and have one of the top offenses in the NFL. The Browns are led by rookie quarterback Baker Mayfield, but they still make plenty of mistakes. Cleveland has been in close games all season long, but that run will end in this game. Bet the Los Angeles Chargers -1.0 in a game where they blow out the Browns. The red hot Chicago Bears will travel to Miami to take on the surprising Dolphins in week six. Both teams are leading their divisions, and both are winning games with their defense. The Miami Dolphins are giving up just 23.4 points per game, but their offense has killed them in recent weeks. Quarterback Ryan Tannehill threw a costly interception in a week five loss to the Cincinnati Bengals, that saw the Dolphins blow a 17 point lead. The Bears are coming off of their best offensive performance in decades, scoring 48 points in a week four win. 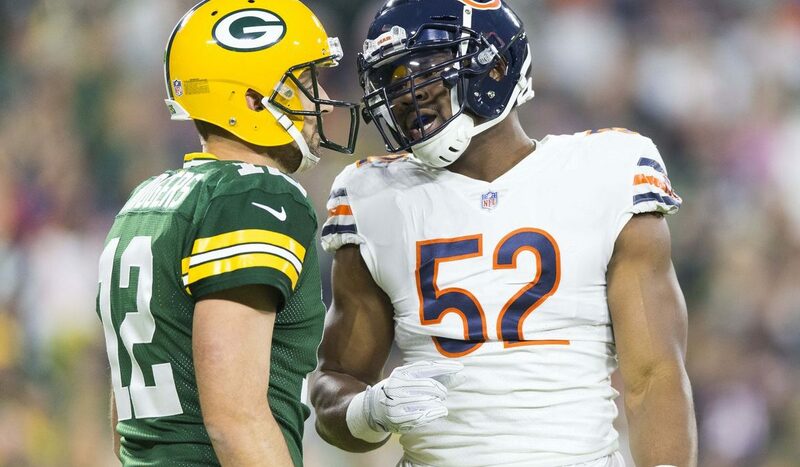 The Bears defense is led by MVP candidate Khalil Mack, who should have his way with a struggling Miami offensive line in this game. Look for the Bears to leave Miami with another blowout win this week. Bet the Chicago Bears -3.0 over the Dolphins in this game. A pair of struggling teams will meet in New York as the Jets play host to the Indianapolis Colts. The Jets are coming off of a very impressive week five win over the Denver Broncos. The Indianapolis Colts have lost three straight games after beating the Washington Redskins in game two of the season. The Jets have an inconsistent offense led by rookie quarterback Sam Darnold, but they are capable of putting up big numbers on offense. Darnold has thrown for over 1,000 yards and seven touchdowns this season. The defense of the Jets has been carrying them this season, and that trend should continue in this game. Colts quarterback Andrew Luck has thrown for 12 touchdowns this season, but has struggled with accuracy and staying upright. The Colts will need a big performance out of their offensive line in this game if they are going to have any chance of winning. Look for the Jets to find a way to beat the Colts by more than a field goal in this game. The New York Jets -2.5 is the bet in this game. Two of the most interesting teams in the NFL will meet in week six with the Houston Texans host the Buffalo Bills. The Texans got off to a surprising 0-3 start this season but has won their last two games to get back into playoff contention. The Bills have looked awful in three of their games, but also have a pair of wins over the Minnesota Vikings and Tennessee Titans. Texans quarterback Deshaun Watson has thrown for over 307 yards per game this season but has struggled in the red zone. The Houston defensive front can cause a lot of havoc, and they should have a huge day in this game. Bills quarterback Josh Allen has looked like a rookie this season but has been great on a few occasions. This game will likely come down to a defensive stop, and the Texans will get it. Bet the Houston Texans -1.0 over the Buffalo Bills in this game. 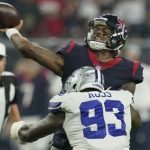 Best of luck with all your NFL Week 6 betting!